Suzuki Grand Vitara parts are notorious for being difficult to find. Even automobile dealerships make their customers wait for weeks before getting the parts in. From the classic first 1999 model to the more current of the Compact SUV, it doesn't matter which one you have, finding the right parts can be tough. But, UNeedAPart.com is changing the tide to benefit those looking for Suzuki Grand Vitara parts. UNeedAPart.com instantly searches up-to-the-minute inventories of over 7,000 parts suppliers and parts dealers. This strength of selection greatly improves your chances of locating the exact part you need to make the repair on your or your customer's Suzuki Grand Vitara. UNeedAPart.com is perfect for both the home-based mechanic and the professional auto shop alike. It takes seconds to locate the Suzuki Grand Vitara parts you need and best of all, there's no expensive software to buy because UNeedAPart.com is free to use! Some Suzuki Grand Vitara Car Parts are more accessible than others. For instance, you can usually locate a Suzuki Grand Vitara rear light cover. But some parts, like a Suzuki Grand Vitara oil cooler or full Suzuki Grand Vitara engines can prove to be much harder to find. By having the ability to search the inventories of over 7,000 parts suppliers, suddenly, the Suzuki Grand Vitara parts you're looking for aren't so difficult to find! 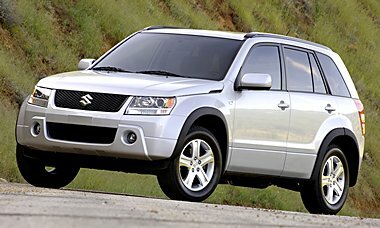 You will save plenty of time and money by using UNeedAPart.com to locate your Suzuki Grand Vitara parts for you. Give us a try and see for yourself why UNeedAPart.com is one of the most widely used parts locating services on the Internet. Finding the right Suzuki Grand Vitara parts is easy! To get started, simply use the Parts Request boxes at the top and/or side of the page. You will instantly be matched with auto parts dealers that meet your search criteria. UNeedAPart.com helps you find the new or used auto body parts you need in no time!